Are you experiencing issues on your Windows 10 PC? Want to repair the Windows 10 installation but don’t want to lose apps and data? Here is how to repair Windows 10 install without losing programs and files. 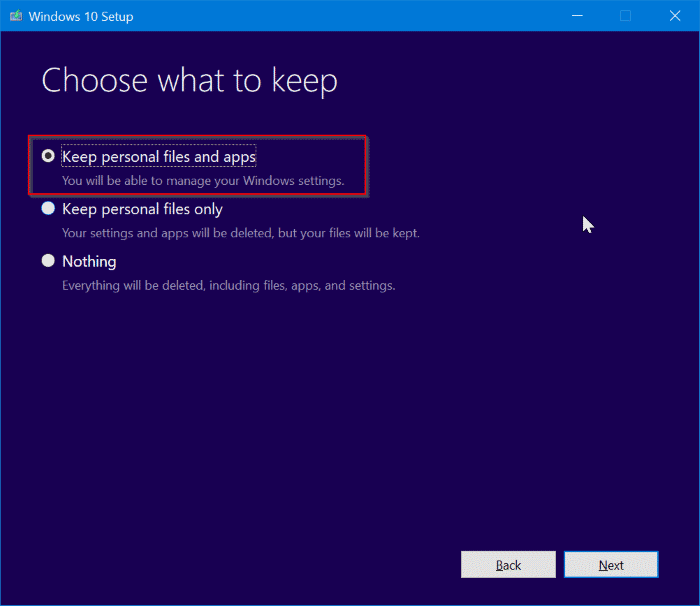 Windows 10 Settings offers you to reset Windows 10 install by keeping personal files. However, in the process, it removes your installed apps, including classic desktop programs. 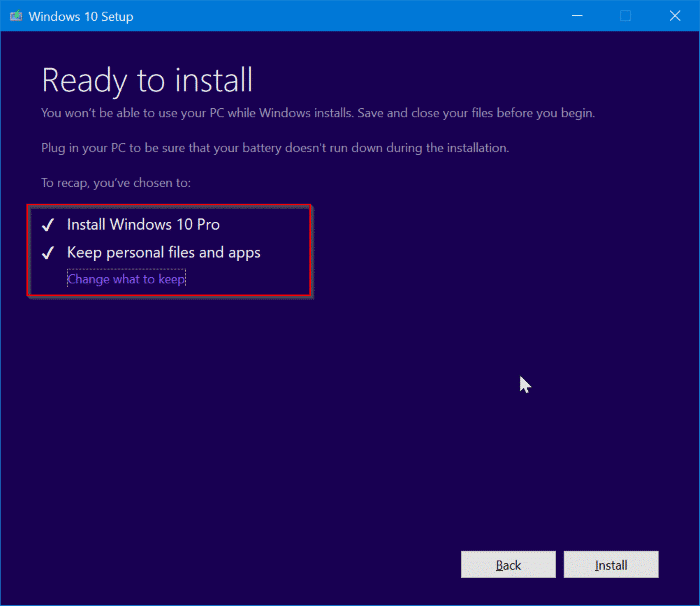 If you have tens of programs installed on your Windows 10 PC and tons of data, there is no point in resetting your Windows 10 as it doesn’t offer an option to keep installed apps. 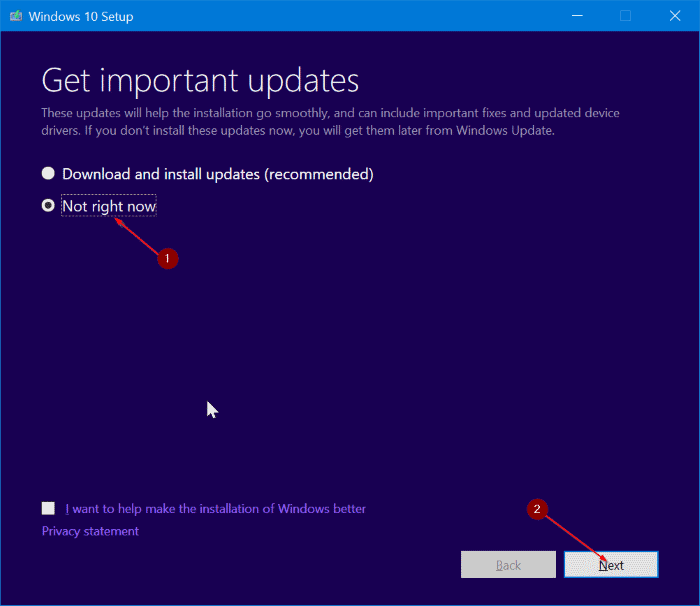 If you are experiencing issues on your Windows 10 PC and want to repair the installation to fix all issues without losing installed programs and data, use this guide to repair Windows 10 installation without losing data and apps. To proceed with this guide, you will need either Windows 10 ISO, bootable USB of Windows 10 or Windows 10 bootable DVD. IMPORTANT: As pointed out, this method will preserve your apps and data. However, we recommend you backup all data to a safe place just in case if something goes terribly wrong during the repair. Step 1: Skip this step if you have the ISO image or bootable media of Windows 10. Else, download the latest version of Windows 10 from Microsoft using Windows 10 Media Creation Tool. You can refer to our download Windows 10 from Microsoft guide for step-by-step directions. Remember that you don’t need to download the Windows 10 ISO if you have bootable DVD or bootable USB of Windows 10. It’s important to note that the ISO or bootable media must be the same version of Windows 10 that you currently installed on your PC. Step 2: Navigate to the folder containing the ISO image, right-click on the ISO and then click Mount option to mount the ISO image. Open This PC to see a new drive. 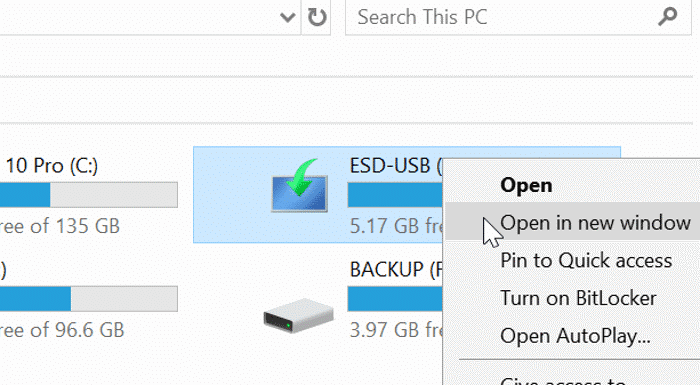 Right-click on the new drive in This PC and then click Open in new window option to open it. 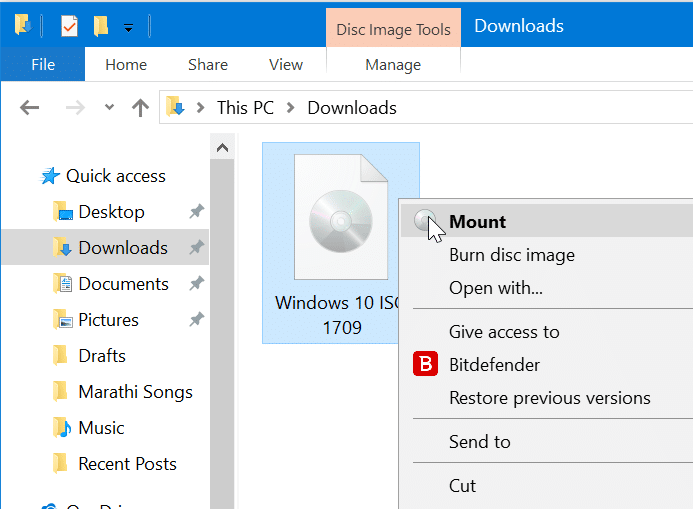 If you have the bootable USB or bootable DVD of Windows 10, connect them to your PC, right-click on the USB drive in This PC, and then click Open in new window option to open the bootable USB or DVD. 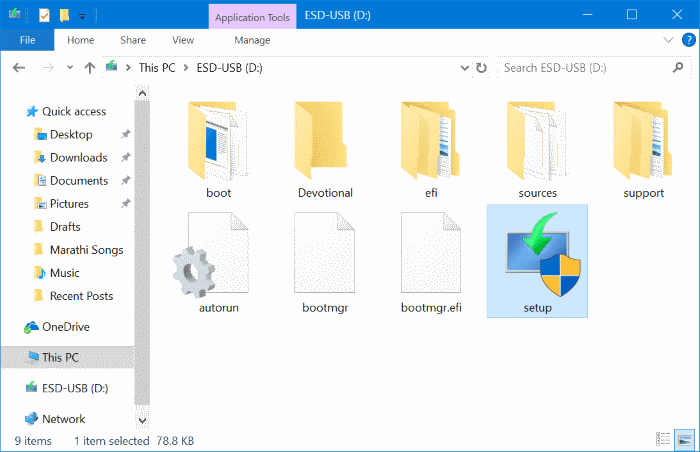 Step 3: In the root folder of ISO/DVD/USB, you will see Setup (.exe) file. 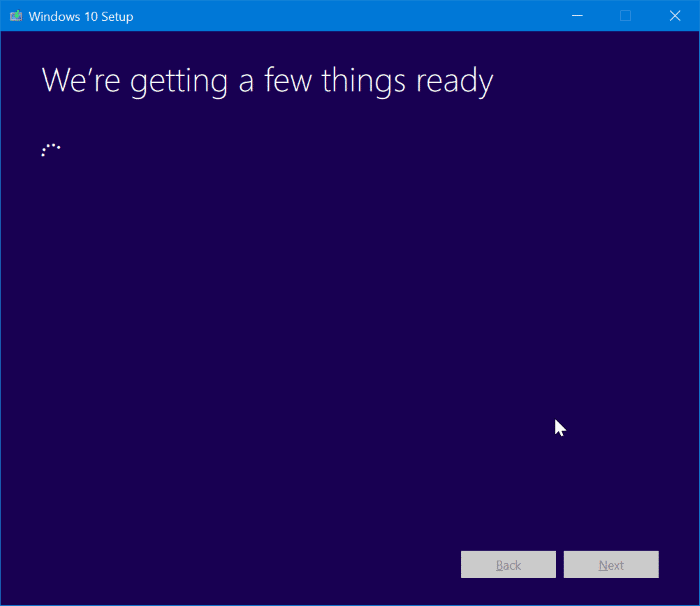 Double-click on the Setup file to launch the Windows 10 setup. Click Yes button if you see the User Account Control screen. Step 4: You will get “Get important updates” screen. Select Not right now option and then check or uncheck I want to help make the installation of Windows better option. Click Next button. You will see “We are getting a few things ready” screen for a few seconds. Step 5: Next, you will get the license agreement screen. 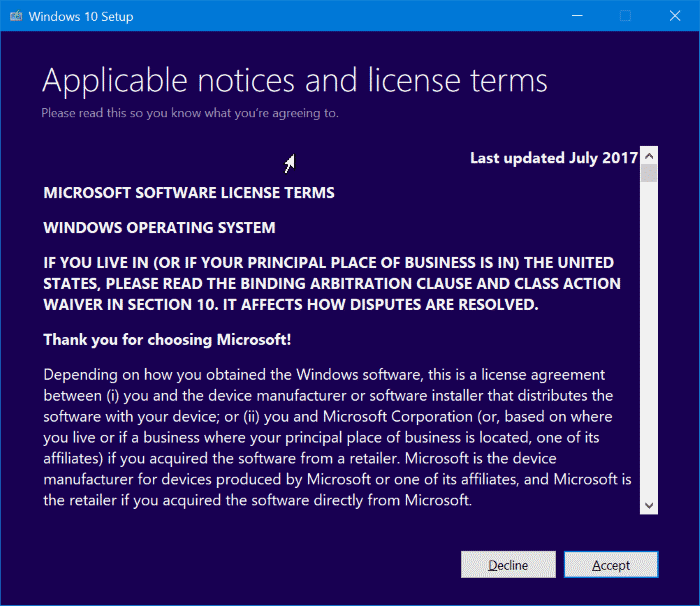 Agree to the license agreement by selecting “I accept the license terms” checkbox and then clicking the Next button. The setup will now check if your PC has enough space and meets minimum system requirements. Step 6: In a few minutes, you will get the “Ready to install” screen. This is the most important step of the procedure. 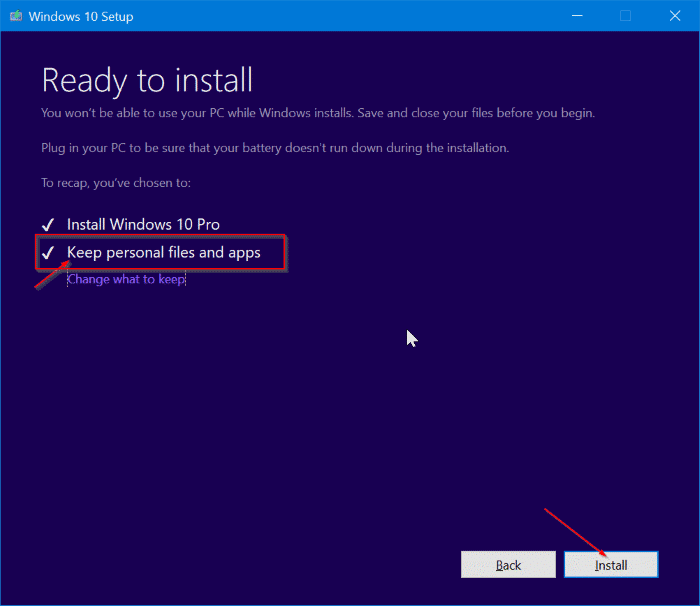 At this screen, make sure that Install Windows 10 Home/Pro and Keep personal files and apps options are selected. If not, click Change what to keep link, and then select Keep personal files and apps option repair your Windows 10 install without losing your data and installed apps. Finally, click Install button to begin repairing your Windows 10 installation. It might take up to an hour to complete the repair or install. Once done, you will see the lock screen of Windows 10. Press Enter key and then type your user account password. 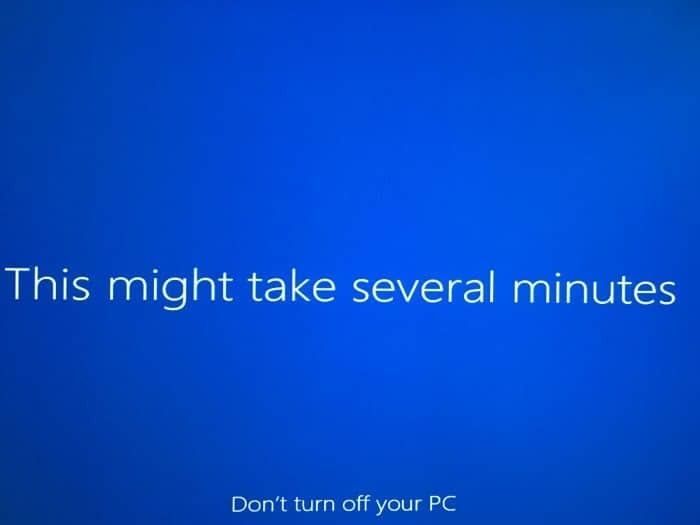 Windows 10 will display the sign-in animation for a few seconds before taking you to the desktop. That’s it! You have successfully repaired the Windows 10 installation without losing apps and data. You might also like to know how to easily backup data from unbootable PC guide. 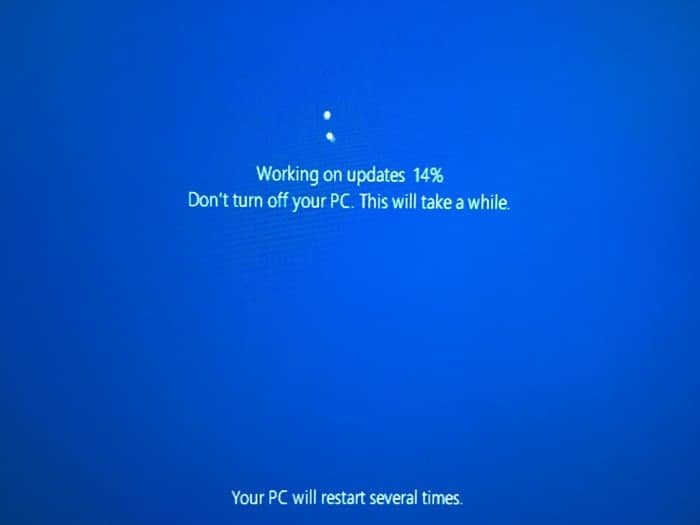 Thank you INTO WINDOWS guys for your dedication. I came across this WIFI issue just today and I tried all those above and in the end, I reinstalled my windows 10. To my surprise, the problem is still existing. Thank heavens for this tutorial, my lan network access had gone and no amount of tweaking would get it back. Tried this as a last resort before a fresh install and it worked perfect. How to fix windows that isn’t booting? Step one first boot into Windows to create a bootable fixit tool. Nice piece of useless information for a non bootable Windows 10 machine. such a shame this isn’t true. I have done this quite a few times and still end up having to reinstall nearly everything. So, I can’t get into windows because a windows startup file is corrupted. How can I get to this options from the bootable USB without booting into windows first??? Thanks for the detailed information. I have an issue with a file history error 605 with ill formed data, and all suggested command prompt repairs have not had any success. I have many programs installed such as Cyberlink PowerDirector, Adope Photoshop, etc. and all there sub apps. Can you confirm all these programs be ok if I select “keep personal files & apps” or will only Microsoft apps be saved. Just wanted to shout out a BIG Thank you for all of the great and useful tips and articles that I find to be so helpful.